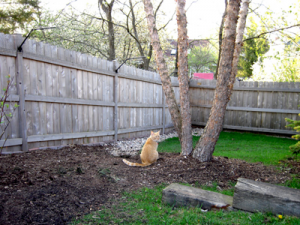 Looking for advice on cat proof fencing can be a daunting experience. Looking at your garden and wondering the best way to cat proof it can cause headaches and decisions going round in circles. It’s tough deciding the route to take so that your kitty can go outside. This web site: http://www.christinedemerchant.com/gardeningcats.html gives some great ideas on what to do in your garden to make it a cats heaven but also tips on cat proofing. I wrote an article on my blog which goes into details regarding certain types of cat proofing and the companies that are good at it! Get your thinking cap on and make your garden safe and fun for your kitty! 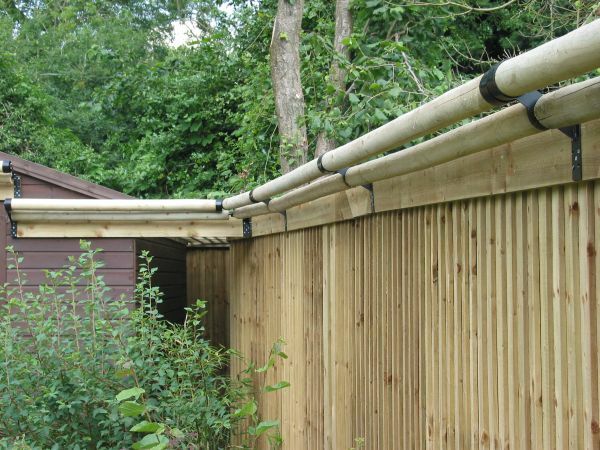 So, there you have it…Cat proof fencing for any any UK garden. 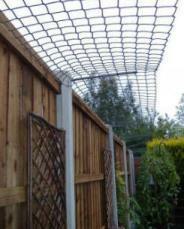 Allow your cat to venture outside by securing your garden with some cat proof fencing. Here’s some great designs I liked below.